Quality bottle sorting machine and inspection system which can be put to use not only after your labeling process, but also for sorting empty bottles either before or after your bottle washing machine. The Allround, Versatile bottle sorting system, from Miho can be used in the filling process with two different functions. 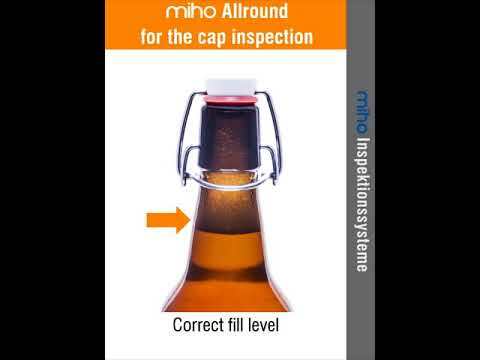 Firstly: As an extensive final inspection, installed after the labelling process, it inspects all the components of filled bottles and all optically visible features. For instance, the quality of the labelling, the printed expiry date, and if visible, also the fill level. Secondly, the Miho Allround can also be used as an empty bottle sorting system that is installed before or after the washing machine. With this function, the bottles are sorted by size, shape and color. And, if necessary, the components can also be checked with a specific printed label (ACL).